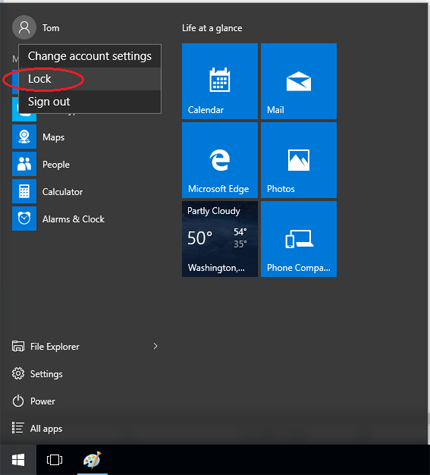 No matter what version of Windows you are running, you can find the lock option in the Start Menu (or Start Screen) that allows you to lock your computer. In this tutorial we’ll show you 2 ways to disable / remove the lock option from Windows 10, 8 and 7 Start menu. Follow this method and you can remove the lock option from the user tile menu on the Start menu (or Start screen) in Windows 10, 8.1 or 8. Press the Windows key + R to open the Run box. Type gpedit.msc and press Enter. In the right-hand pane you should now see a variety of settings. Double-click on the “Show lock in the user tile menu” setting and its properties screen will open. Now close the Local Group Policy Editor window. You’ll see the lock option is disabled or removed from the Start menu. 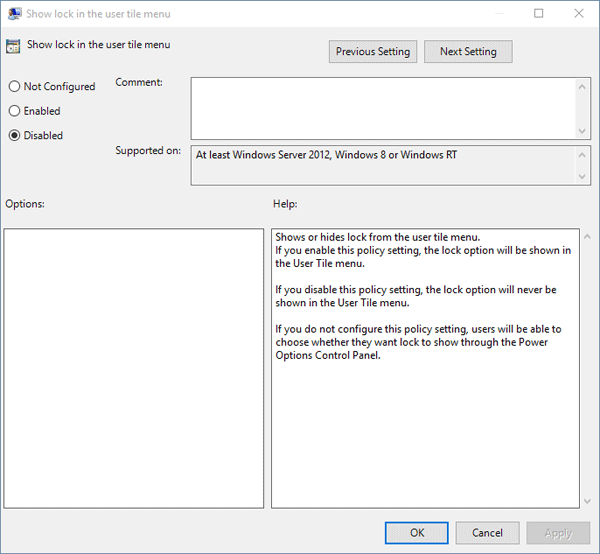 If the Group Policy Editor is not available in your computer or you’re running Windows 7, then use this registry hack to disable the lock option from your Windows Start menu. 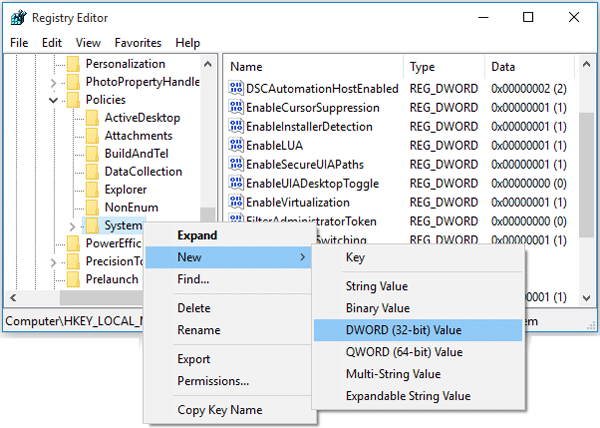 Right-click on the System key on the left pane and select New -> DWORD (32 bit) Value. 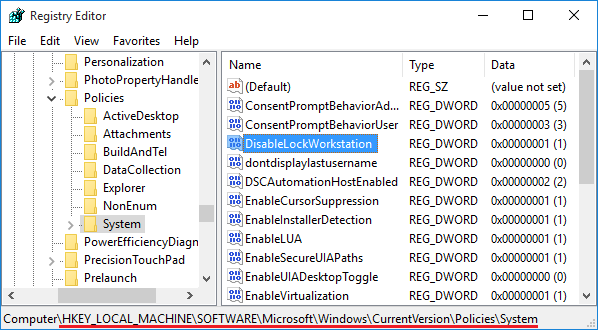 Name it DisableLockWorkstation and set the value to 1 in order to disable the lock option in the Start menu. If you want to show / enable the lock option later on, just change the value to 0. Close the Registry Editor and you will see the lock option turns gray or disappeared from the Start menu.